QNAP's Network Attached Storage(NAS) are systems that consist of one or more hard drives that are constantly connected to the internet. The QNAP becomes your backup "hub", or storage unit that stores all your important files and media such as photos, videos and music. Imagine it being your external hard drive, but rather taking it everywhere, it is placed at home and accessible for you and your family to use at anytime and anywhere. QTS is designed to deliver high-performance applications and services fulfilling your needs in file sharing, storage management, backup, virtual environments, multimedia, and more. With the QNAP App Center, users can easily enjoy powerful business and home entertainment applications. We know you don't often think about storage, so we have created a solution for you. Storing with the QNAP will let you rethink the way you store, and how you reuse and revisit your files. Never have to lose a file again with the QNAP NAS. It acts as your backup solution in case anything happens, such as a hard-drive failure, or even a lost computer or laptop! Have you ever had times when you want to access a file that is stored on another device? Centralizing files with the QNAP makes it easy for you or your friends, family or co-workers to access files anywhere, anytime. "How do you want me to send it?" is what you and I hear everyday during work when working with coworkers or teammates. Instead of waiting for a file to upload or attach to your email, you can easily send files by sharing a unique link for your project files, albums, movies and music. Our files are getting larger and larger as the high-resolution standards take over the consumer electronics industry. The QNAP plays a useful role in centralizing files such as photos, videos, music, movies that you'd never want to lose. Instead of storing files in the public cloud, the QNAP acts as your personal cloud, which is dedicated for you, and you only. It is secured, safe and reliable. 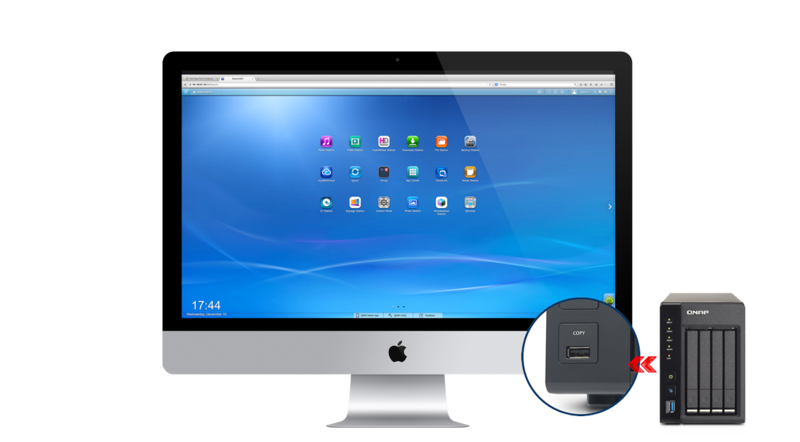 QNAP becomes your external backup device, but even more powerful - by which it is connected to the web for you to access anywhere, anytime. 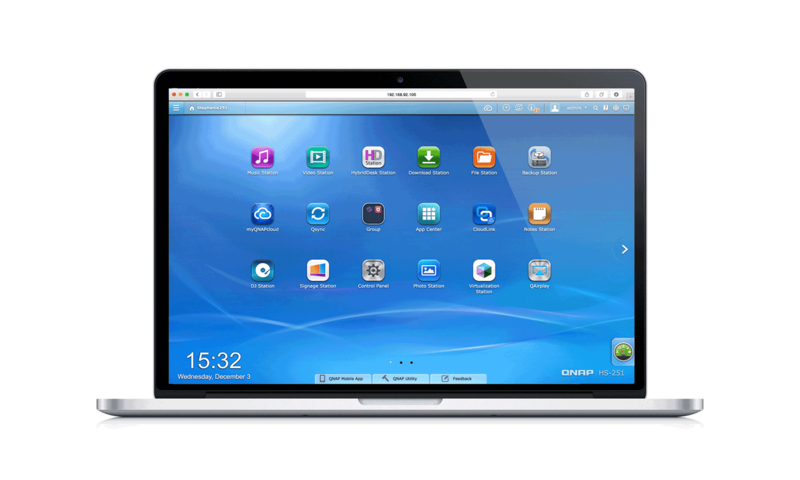 QNAP provides many dedicated apps on the phone for users to enjoy and utilize. 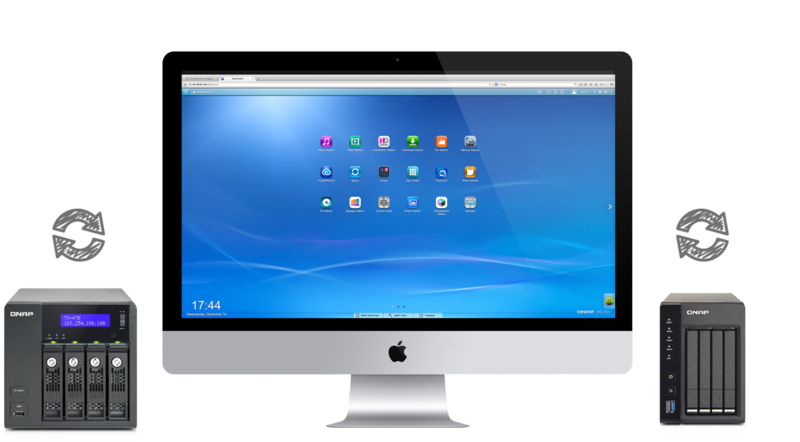 QNAP NAS provides Mac OS X users with an effortless solution to back up desktop data. No more dedicating external hard drives just for your Time Machine backups. 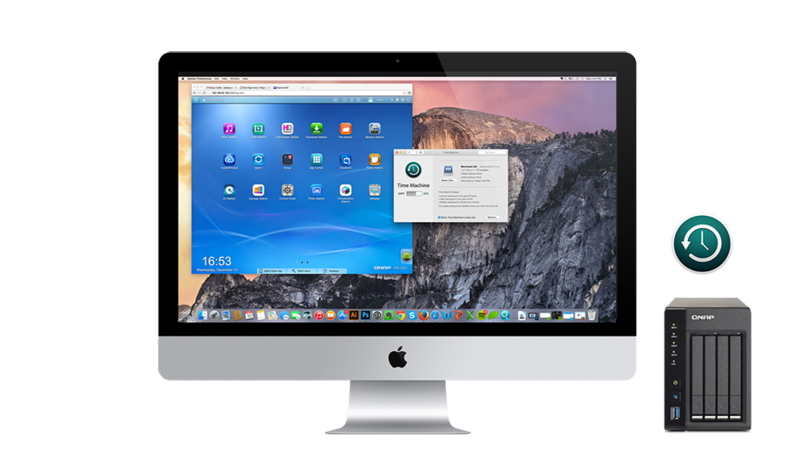 With the NAS, you can set the capacity in the Turbo NAS dedicated for Mac data backup. 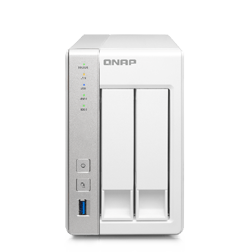 QNAP offer easy solutions for users to backup from their QNAP NAS to another. You can either backup in real-time with QNAP's RTRR service or via a standard rsync protocol. If backing up to the NAS is not enough, QNAP users can also backup to various cloud services. Discover and learn more on how to backup to cloud services below. The QNAP NAS provides a convenient way to backup from external devices such as digital cameras or USB disks to the front-panel USB port. Simply hit the “Copy” button to instantly backup data from the device to the NAS.